The viral yodeling sensation is coming to a Wal-Mart near you. This evening from 5:30-6:30, the Wal-Mart at Bashford Manor Lane in Louisville will host Mason Ramsey. 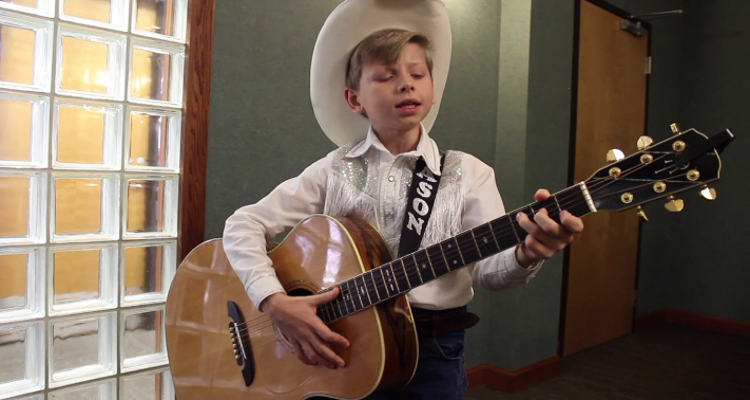 The 11-year old earned fame when a video of him yodeling inside the megastore went viral. Since the video hit the internet, he’s become an international sensation. He went on the Ellen show, he’s performed at Coachella and this week he released his first song. “Famous” debuted on the Billboard country charts at No. 4. 2018, where 11-year yodeling viral sensations become traveling stars. I’ve never wanted to punch a child more than I have this dumb kid. That this kid is at the top of my list? What kid would you put on your list? People have to be discovered somehow…I’m physically sick of looking at/hearing this little boy. You are correct. He is doing a good job of singing “Love Sick Blues” the way Hank Williams did when he brought the Grand Old Opry house down in about 1950. Look it up or ask Alexes. We had radio back then. Rap hadn’t been invented yet so we had to listen to that stuff . GDamn ppl!!! Let the kid shine!!! Ok… ok kid.. I hear ya….